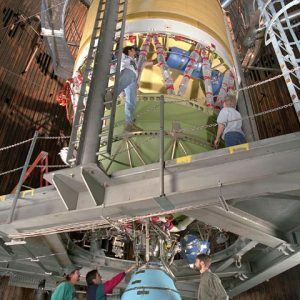 NASA’s In-Space Propulsion Facility (ISP) is the world’s only facility capable of testing full-scale upper-stage launch vehicles and rocket engines under simulated high-altitude conditions. 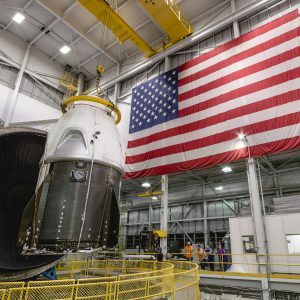 NASA’s In-Space Propulsion Facility (ISP) is the world’s only facility capable of testing full-scale upper-stage launch vehicles and rocket engines under simulated space conditions and also conducting altitude hot fire. The engine or vehicle can be exposed for indefinite periods to low ambient pressures, low-background temperatures, and dynamic solar heating, simulating the environment the hardware will encounter during orbital or interplanetary travel. 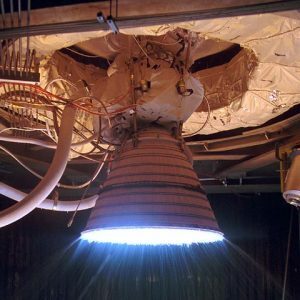 Vehicle engines producing up to 400,000-lb of thrust can be fired for either single or multiple burn missions, utilizing either cryogenic or storable fuels or oxidizers. Engine exhaust conditions can be controlled to simulate a launch ascent profile. In addition, conditions can be maintained before, during, and after the test firing. ISP offers a complete “test-as-you-fly” environment to thoroughly ground test flight hardware and reduce the likelihood of costly flight failures. 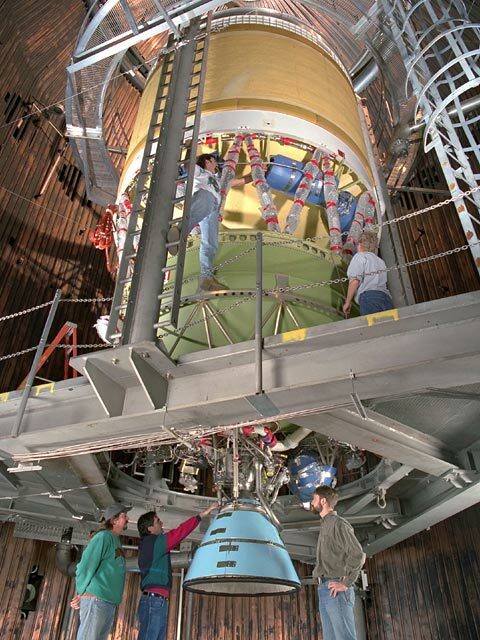 In 1998, tests of the Boeing Delta III cryogenic upper stage were successfully conducted in the ISP facility. 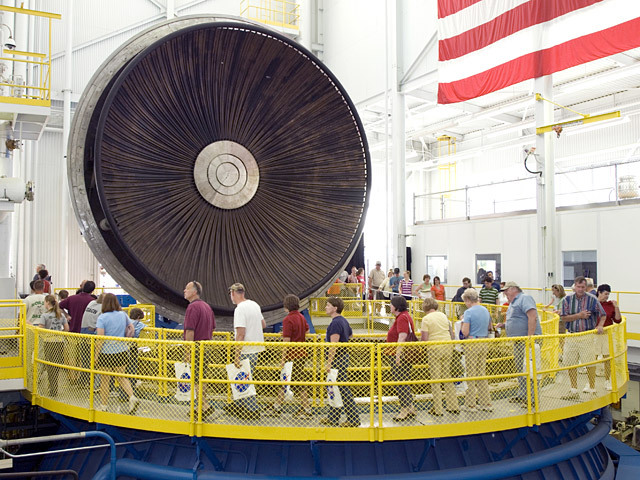 During a typical test program, the test article is installed within the ISP vacuum chamber and the necessary electrical power, fuel, oxidizer, and purge gas connections are made. 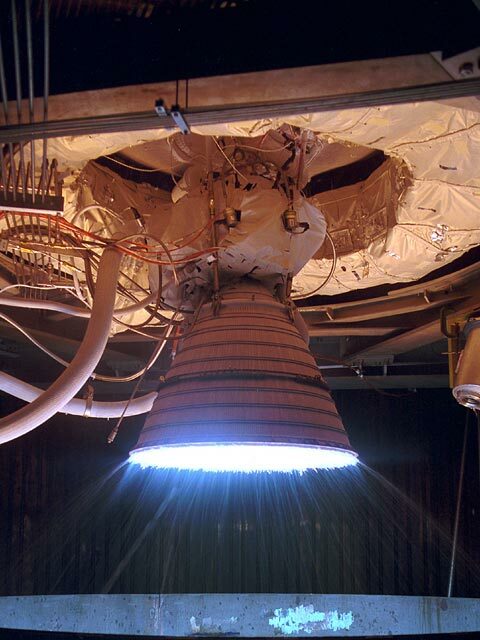 The low-pressure, temperature-controlled flight environment is established to thermally condition the hardware and propellants prior to engine firing. A Event Sequencer conducts all aspects of the engine test firing from the start of the water deluge system until the completion of the engine test firing and facility shutdown. An abort system provides monitoring through the test period of both facility and test parameters. Test-firing periods extending up to600 sec (10 minutes) can be accommodated. Multiple test firings and thermal conditioning periods can be conducted to fully simulate the actual flight scenario. 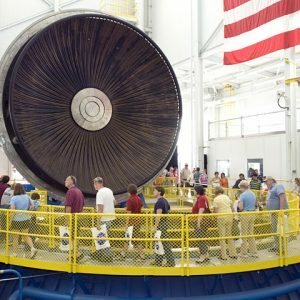 NASA’s In-Space Propulsion Facility is the world’s only high altitude test facility capable of full-scale rocket engine and launch vehicle system level tests. 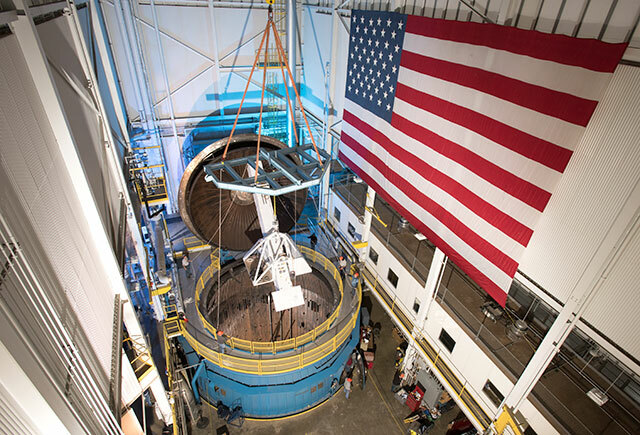 The facility supports mission profile thermal vacuum simulation and engine firing. The engine or vehicle can be exposed for indefinite periods to low ambient pressures, low-background temperatures, and dynamic solar heating, simulating the environment the hardware will encounter during orbital or interplanetary travel. 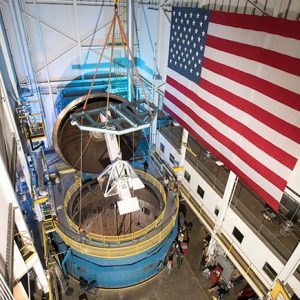 The In-Space Propulsion Facility (ISP) is a one-of-a-kind facility capable of testing full-scale upper-stage launch vehicles and rocket engines under simulated high-altitude conditions. The In-Space Propulsion Facility has a vacuum range of up to 100 statute miles in altitude. ISP is one of four unique space simulation facilities located at NASA’s Plum Brook Station. Vacuum chamber surfaces are lined with a liquid nitrogen cold wall, capable of maintaining -320 °F. A quartz infrared heating system can be programmed to radiate a sinusoidal distribution, simulating rotational solar heating. 27-ft-diameter top hatch for equipment loading, two 6.5-ft personnel entry doors. Cooling chamber, 67 ft in diameter by 120 ft deep, located immediatelybelow the vacuum chamber containing 1.75 million gallons of chilled water. Deluge system cools exhaust gases at a rate of 250,000 gallons per minute with 11,000 hp pumping capacity. Two, three-stage steam-operated ejector systems provide hot fire altitude simulation up to 100,000 feet altitude. The system can also simulate launch ascent pressure profile. 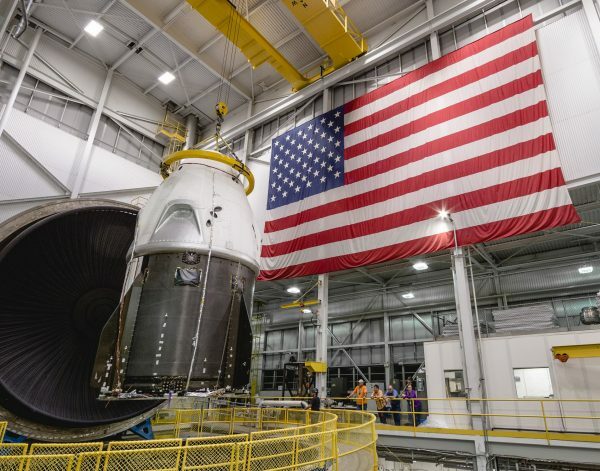 Exhaust system can accommodate a variety of upper stage propellant combinations including, but not limited to, liquid hydrogen, liquid oxygen, liquid methane, hydrogen peroxide, and RP-1. Control room located 2600 ft from the test site. Visitors get a rare glimpse of the ISP facility at Plum Brook Station during an open house held in the spring of 2008. Full-scale rocket engine firing in the In-Space Propulsion Facility test chamber. 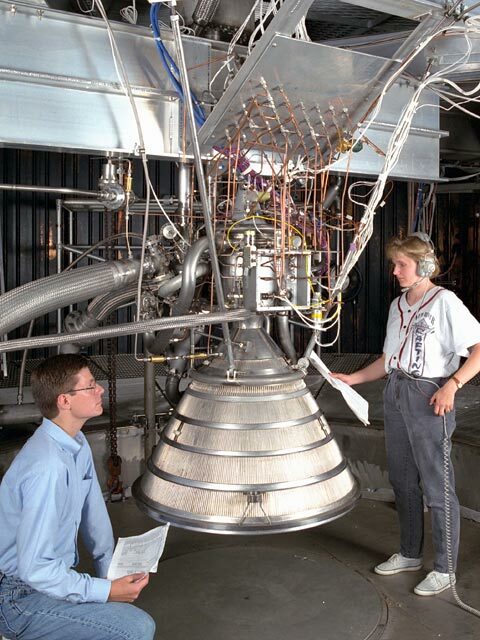 Technicians prepare a full-scale upper stage rocket engine for testing in the In-Space Propulsion Facility. 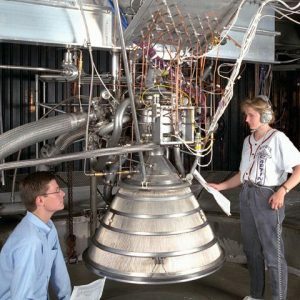 Technicians review documentation and setup prior to testing a McDonald Douglas Delta 3 engine in the In-Space Propulsion Facility. Gamma-Ray Imager/Polarimeter for Solar Flares (GRIPS) Test Hardware.